We are steering wheel restoration experts. 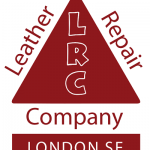 We carry out restoration on all types of leather steering wheels. The steering wheel restoration service we offer is for modern, vintage, veteran and classic vehicles. This includes cars, vans, buses, boats and trucks in fact just about anything that has a steering wheel! 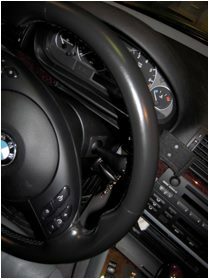 Our restoration process will bring your steering wheel back to life for many more years. 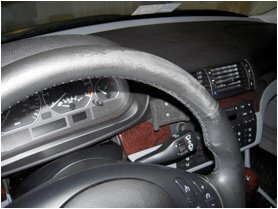 If your steering wheel is feeling sticky, worn, scuffed or detracting from the look of your car’s interior, have the Leather Repair Company steering wheel repair team bring it back to life for you. We can handle all types and sizes of steering wheels for restoration. The process starts when your wheel first arrives, this is given to a technician, who will assess your wheel to work out the best forms of restoration for your steering wheel, no two wheels are the same and we believe in offering a bespoke service to each and every client. After the first stage is done we then start a very in depth cleaning process and preparation process, to ensure your wheel is fully deep cleaned. Then we start with the primmer process of applying special sealers and primers to ensure your wheel is sealed ready for its colour restoration applications. 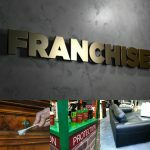 Then we carry out the full re-colouring system applying anything form three to five coats of leather dye to your wheel making sure its back to its former glory and colour, we use a special high grease resistance leather dye that we manufacture in house, not the standard watered down dyes others use. Once this is done we carry out the clear coat sealing system to the wheel, applying several coats of clear coat sealer to seal in all the work that has just been carried our bringing your wheel now back to its former brand new glory and giving it tgis rock hard invisible shield to protect it in the future. Then it’s a matter of applying a special blend of conditioning creams and leather protectors to your wheel.